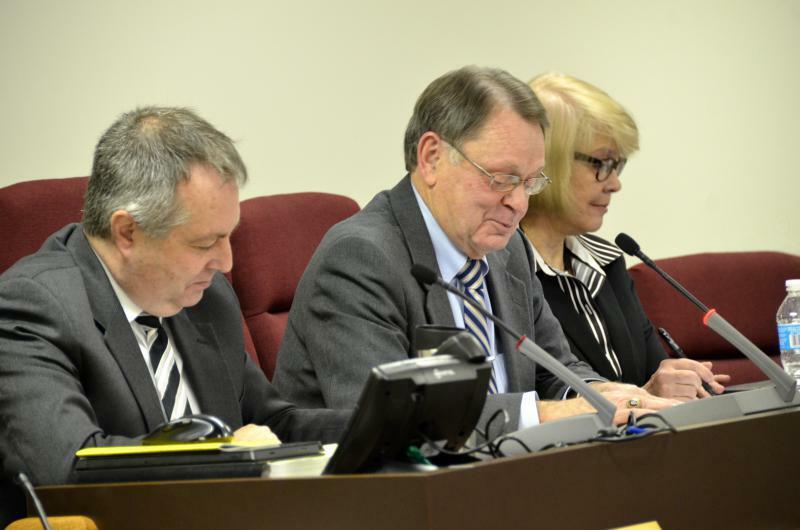 McLean County Board chair John McIntyre, center, flanked by Administrator Bill Wasson and Clerk Kathy Michael at a recent McLean County Board meeting. The Illinois Supreme Court selected Chambers in June to become a circuit judge. His appointment as judge takes effect Aug. 21. McLean County Administrator Bill Wasson said once Chambers puts in his official resignation, the McLean County Board will have 60 days to fill his state’s attorney job. Even though this 60-day search and appointment window has not opened, four candidates seeking the position have emerged. Outgoing McLean County State's Attorney Jason Chambers. 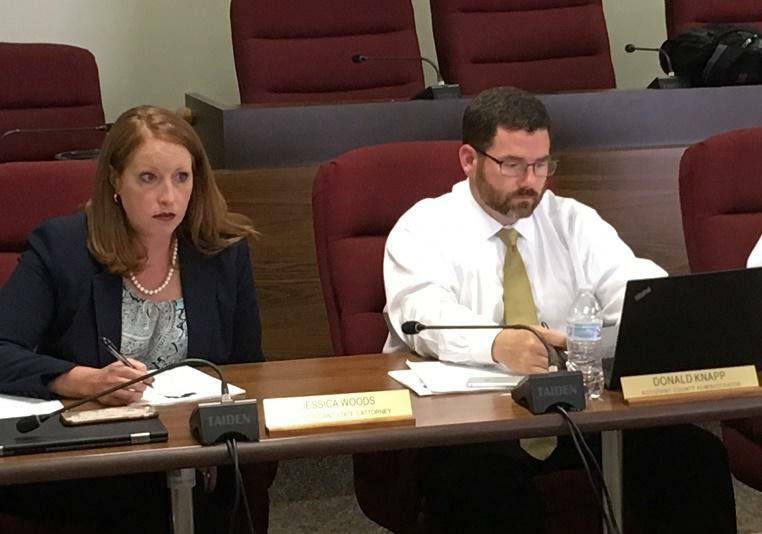 According to the Illinois State Board of Elections, if Chambers turns in his resignation before Aug. 1, the Republican-controlled McLean County Board will appoint someone to serve until a special election this November. 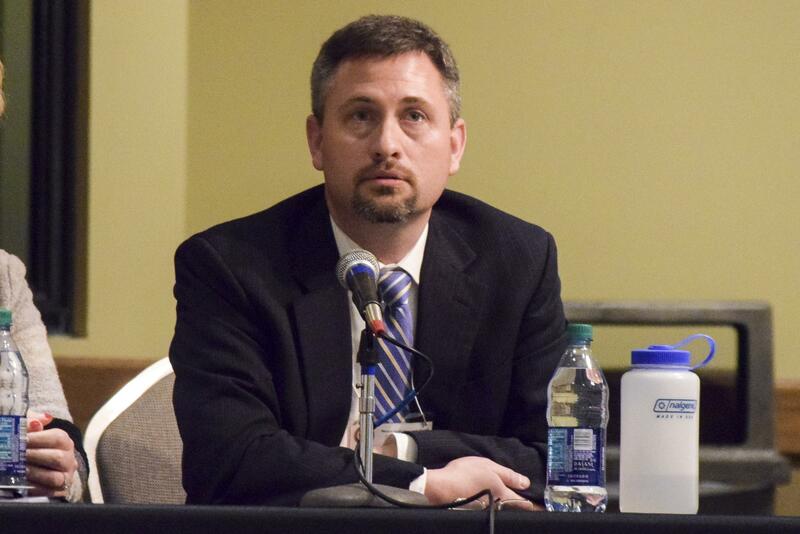 If Chambers files his resignation after Aug. 1, the board-appointed state’s attorney will serve out the rest of Chambers’ term ending in 2020. They then would have the opportunity to run as the incumbent on that year’s ballot. Once Chambers’ resignation is received, the county board will put out a notice about the vacancy. Wasson said there will be a public interview process. Board Chairman John McIntyre will then make an official recommendation to the board for appointment. Republicans hold a 15-to-5 majority on the county board. It's unclear when exactly Chambers will submit his resignation. He could not be reached for comment Tuesday. Whether or not a special election occurs, the county board will follow that same process of interviews, recommendations, and appointment, according to Wasson. If there is a special election, party leaders would choose which candidate is on the ballot, weighted by votes from March’s primary. If Chambers waits until after Aug. 1, Republicans—by holding the board majority—can guarantee their appointed state’s attorney will serve out Chambers’ remaining term. It also gives that appointed state’s attorney over two years of incumbency before possibly running for election in 2020.